NANGARHAR, Afghanistan, July 13 (Reuters) - A regional head of women's affairs was targeted and killed by a car bomb in Afghanistan's east on Friday, officials said, the latest act of brazen violence against women in the country. Hanifa Safi was killed while driving through the capital of Laghman province, Mehtar Lam, when a bomb attached to her car exploded, provincial governor spokesman Sarhadi Zwak said. "It killed her and left her husband, who was with her in the car, in a coma," Zwak said, adding that the attack about 150 km (93 miles) east of Kabul also wounded 10 civilians. Zwak declined to say whether or not he believed the Taliban were behind the attack, instead saying "enemies of Afghanistan" planted the bomb. There was no immediate claim of responsibility. The United Nations condemned the attack. "The deliberate killing of a brave woman and a public servant, dedicated to improving the situation of Afghan women and working for the safety and security of her country, is an outrage," said Jan Kubis, its representative to Kabul. Safi, appointed in 2008, was the second provincial head of women's affairs to be assassinated since the posts were created a decade ago in each of Afghanistan's 34 provinces, reporting to the Ministry of Women's Affairs in Kabul. Safia Ama Jan, who headed the department in southern Kandahar province, was gunned down in 2006 by the Taliban. Friday's killing came after Reuters obtained a video on July 7 of a 22-year-old woman, named Najiba, being publicly executed for alleged adultery about an hour's drive from Kabul, touching off an international outcry. The Taliban denied involvement, although officials in Kabul directly blamed the austere Islamist group for the shooting, which bore similarities to punishments meted out during their 1996-2001 reign that chilled many ordinary Afghans. 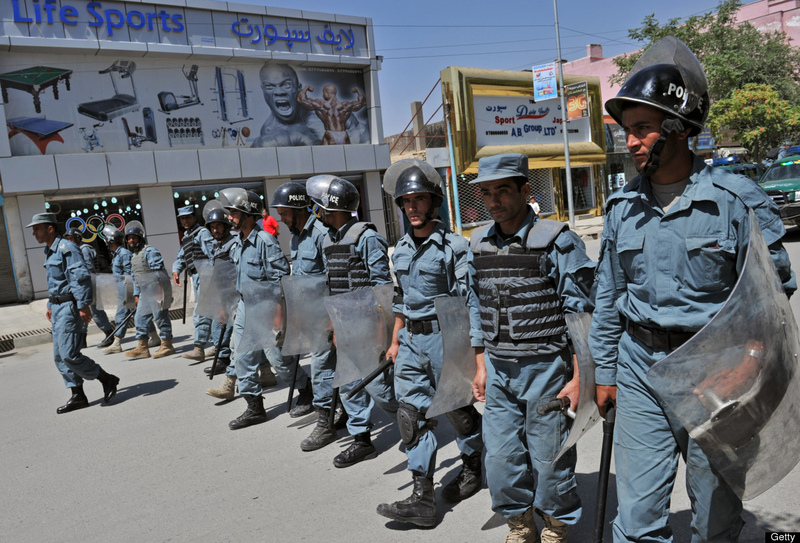 A manhunt has been launched for the alleged Taliban members involved in her killing in Parwan province late last month. There has been increasing violence against women in Afghanistan that activists blame on what they say is waning interest in women's rights on the part of President Hamid Karzai's government. Afghan women have won back basic rights in education, voting and employment since the Taliban were ousted from power, but fears are mounting at home and abroad that such freedoms could be traded away as Kabul seeks a peace deal with the group.